A flare gas metering installation not only requires a world class flare gas meter, but for most installations an integrated metering system. 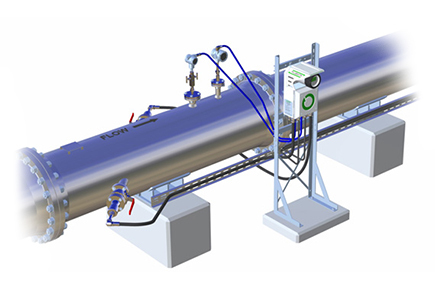 Whilst the Fluenta ultrasonic transducers can be installed directly onto the flare pipe, including hot tapping without shut down of the flare, often the meter is supplied spool mounted with integrated pressure & temperature measurement. To ensure the entire flare metering system is supplied to meet customer installation and project specifications, full design and fabrication services, project management and documentation control is provided by ABLE as part of our project management service.